A Belfast Bay Lobster Ale overflows a glass at the Bangor beer festival in this June 2013 file photo. Gene Beck, owner of Nocturnem Draft Haus, talks to local brewers and personnel from the Greater Bangor Convention & Visitors Bureau personnel about the Wine on the Waterfront event and the Tap into Summer beer festival. Lee Speronis, board chair of the Greater Bangor Convention & Visitors Bureau, announces a two-day event on the Bangor Waterfront, the new Wine on the Waterfront and the Tap into Summer beer festival. 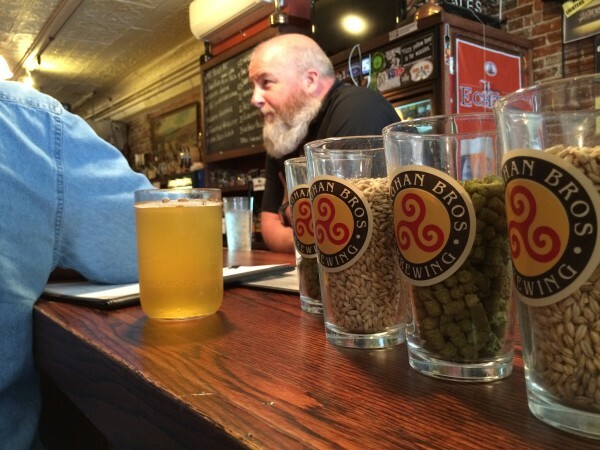 BANGOR, Maine — Something new has been uncorked for the third annual Tap into Summer, Bangor’s beer festival. In addition to taps pouring only Maine-made craft beers, this year’s festival will include Wine on the Waterfront, a companion festival showcasing Maine wines. The Greater Bangor Convention & Visitors Bureau, which sponsors the annual Bangor Waterfront event, decided to add the new Wine on the Waterfront on the night before the beer festival at the request of patrons, Lee Speronis, board chair of the visitors bureau, said at an event announcing the two-day festival planned for June 19 and 20. The two events coincide with performances by Train with The Fray on July 18 and Fall Out Boy on June 20, both at Darling’s Waterfront Pavilion. Wine on the Waterfront is scheduled for 5-8 p.m. June 19 and will include 20 wineries from across Maine. “All are part of the Maine Wine Trail,” said Elizabeth Sutherland of Sutherland-Weston Marketing & Communications at the press conference held at Nocturnem Draft Haus. “There is room for more. We’ll also be featuring locally made cheese, meats and artisan breads,” and chocolate. Bangor’s Stesha Cano will perform during the wine festival. Tickets for the wine festival cost $30 for advance purchase and $45 the day of the event. The Crown Vics of Ellsworth will play at the beer festival, which kicks off the next day. Lisa Sturgeon of Geaghan’s Brothers Brewing said a lot of Maine brews will be pouring at the event. “This year, we’ll be joined by 21 other Maine breweries,” she said. The daylong June 20 event will feature two sessions — a VIP tasting session from 11:30 a.m.-1 p.m. that will include exclusive beer sampling and lunch provided by Moe’s BBQ, and a 1-5 p.m. general session with food available for sale from Moe’s, Granny’s Grilled Cheese and Taco Trio. VIP tickets for the beer festival are $50 each and are only available for advance purchase. General session tickets are $25 in advance and $40 at the gate. The best thing about Bangor’s beer festival is that attendees really care about what they are drinking, said brewmaster Andy Geaghan. 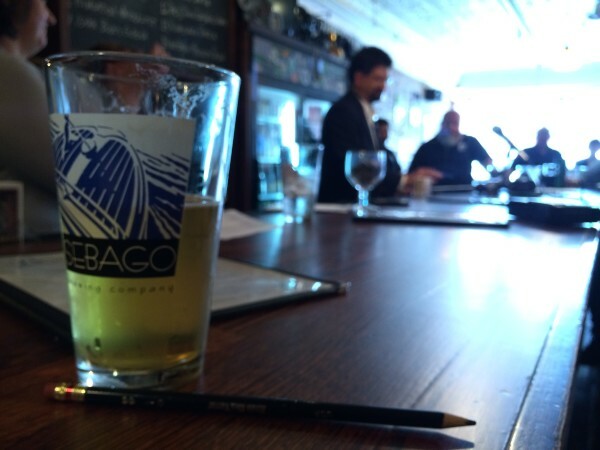 “They want to talk about the product and meet the brewers,” Geaghan said. The list of breweries includes well-known Maine breweries such as Allagash Brewing Co., Belfast Bay Brewery and Geary’s, as well as newcomers such as Orono Brewing Co. and Square Tail Brewing Co. in Amherst. Penobscot Bay Brewery and Winterport Winery, which are owned and operated by Mike and Joan Anderson, will have their pear cider, and other selections, at both events. They started selling their fruit cider last July and sold more than 12,000 bottles by the end of the year. “Half of my tanks are filled with pear fermenting in order to keep up with the cider [demand],” said Mike Anderson, a winemaker and brewmaster. The craft beer industry is growing by leaps and bounds, and consumers are the ones who benefit. 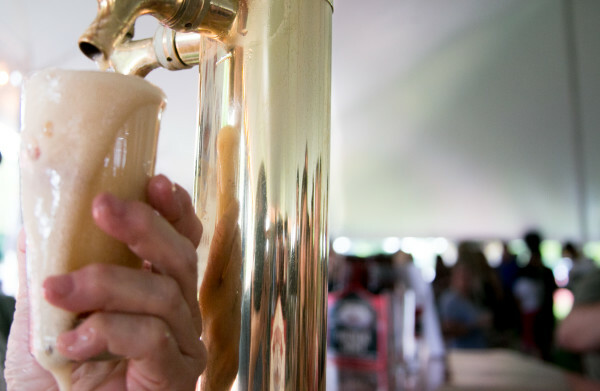 The first Tap into Summer beer festival attracted 15 craft brewers from across the state and drew 1,100 brew fans. It’s only grown since, Speronis said. Tickets are available at visitbangormaine.com, waterfrontconcert.com, at Mark’s Music in Brewer, or on the day of the event.